… the biggest reclining buddha statue in Myanmar. After an early breakfast we proceed to the train station by taxi. 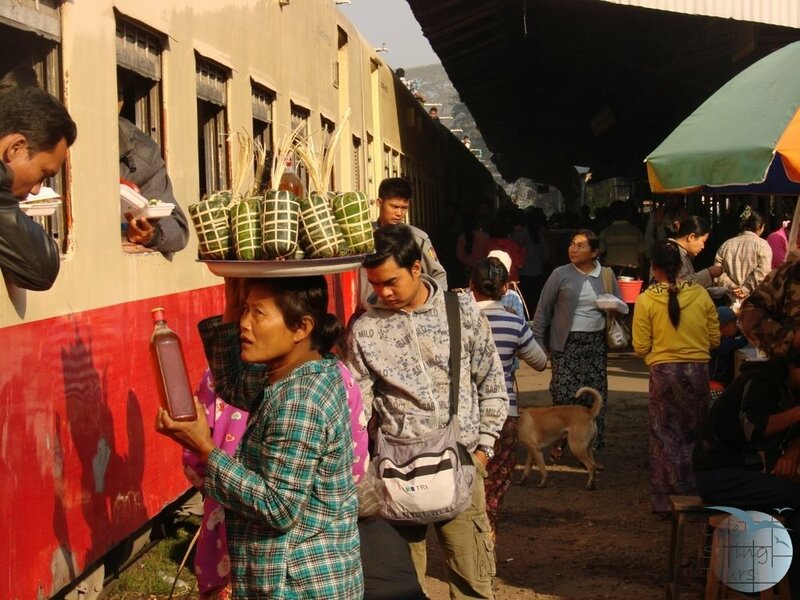 The train moves slowly through the outskirts of Yangon, ideal for getting an idea of the daily life along the train tracks. An attraction in Bago is the main market with a wide range of local products, from fruits to all kinds of things for the daily use. On the way we visit Bayin Nyi Cave, where after the legend a Kings brother was hiding. The cave is situated on a lime stone cliff wall and surrounded by hot water bathing pools and green marshlands. In the afternoon we will arrive in Hpa An. Time permitting, we enjoy the sunset at Shwe Yin Myaw Pagoda at the bank of Thanlwin (Salween) River. 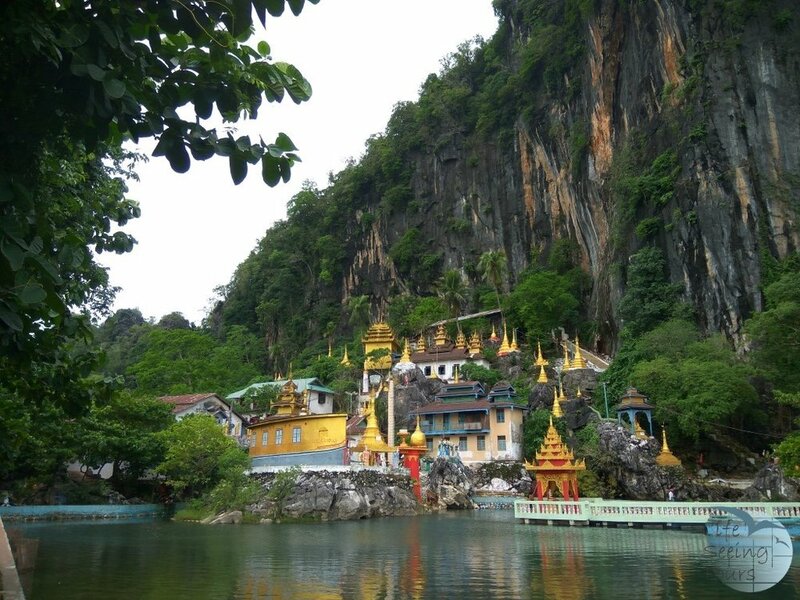 Here you will get to know why Hpa An literally translated frog vomit means. Lunch and Dinner are to your own account. In the afternoon we will arrive in Hpa An. After a short drive we visit Kaw Gun Cave also known as the ‘Cave of the Ten Thousand Buddha’s. The walls are holding up more than 2000 tablets of Lord Buddha with Mon inscriptions. Until today not all of them are encrypt as the cave can be dated back to the 7th century. Our next stop is Kyauk Kalat Monastery, which is built on top of a single rock formations surrounded by a scenic lake. 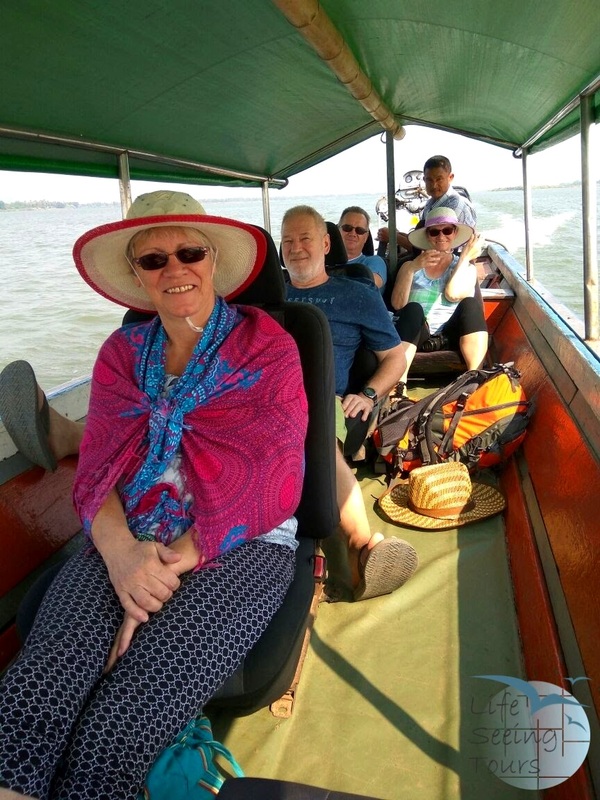 After breakfast, we take the private boat to Mawlamyine (Moulmein). Enjoy the scenic cruise along the Thanlwin River. Along the way we stop at U Nar Auk Monastery, which was built during the British Colonialization from the finest craftsmen during this time. 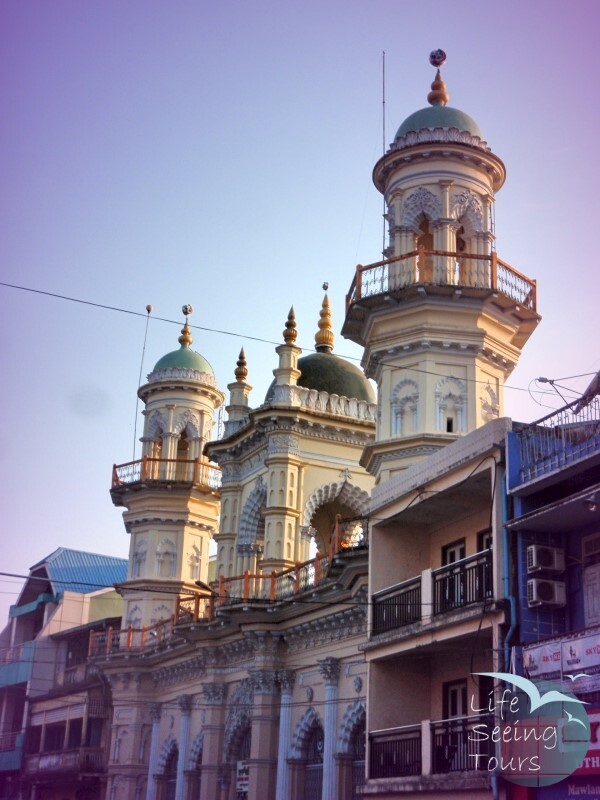 Mawlamyine is the 4th largest city of Myanmar as well as 1st capital of British Burma, boasting of intact colonial era buildings. We visit the Mon Cultural Museum with its displays of bronze, silverware, ceramics and sculptures (closed on Sundays and Public Holidays). We learn about handmade clay pots at a clay pot workshop nearby Mawlamyine. 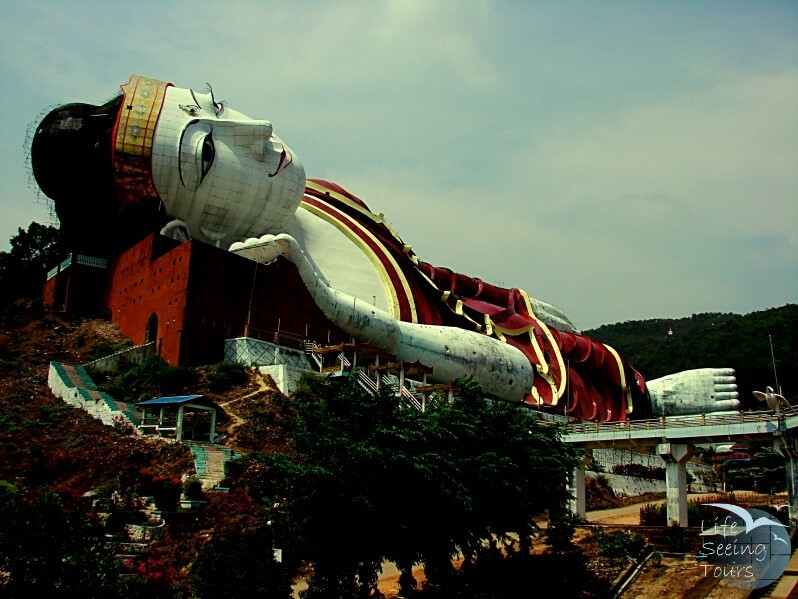 One of the world’s largest reclining Buddhas lays near Mudon Township. We have a look around the monument. We visit Kyaikthanlan Pagoda, immortalized in Rudyard Kipling’s poem that begins: “By the old Moulmein Pagoda, lookin’ lazy at the sea/ There’s a Burma girl a-settin’, and I know she thinks o’ me…”. In the later afternoon we return to Hpa An. Lunch and Dinner are to your own account. After breakfast we have enough time to walk over the busy main market of Hpa An and soak in the atmosphere. Maybe you want to buy some souvenirs. Arrival in Yangon in the afternoon. If you need to fly to other destinations from Yangon Airport, you have to leave early from Hpa An (Driving time 4.5 hours).